The Life Of Faith: 24 week baby bump! How far along: 24 weeks. Can you believe I've been pregnant for 6 months already? Wow! Movement: She's an active little girl! Jimmy gets to feel her kick all the time now too and it sometimes surprises him how hard she kicks...or punches...I'm not sure which she is doing! Weight Gain: Well, I went on vacation over the weekend and let me tell you what my diet consisted of. Eating out at unhealthy places, lots of ice cream, a visit to an old fashioned candy store...you get the idea. I haven't legitly weighed myself but I think overall pregnancy weight gain is now somewhere around 6 pounds! Best moment of my week: Going camping in Branson over labor day weekend! Worst moment of my week: Feeling nauseous...I'm trying (again) to stop taking those horribly expensive anti nausea pills. It's been 2 days and although I don't feel good, I'm hoping that my body will maybe just maybe adjust itself! Sleep: Other than going to bed super late, I haven't been sleeping too badly. Miss Anything: Being able to get stuff done! Looking Forward: To announcing our baby girl's name! We have one picked out...maybe next week I will get to tell you all!! And, belly bands are terrific. 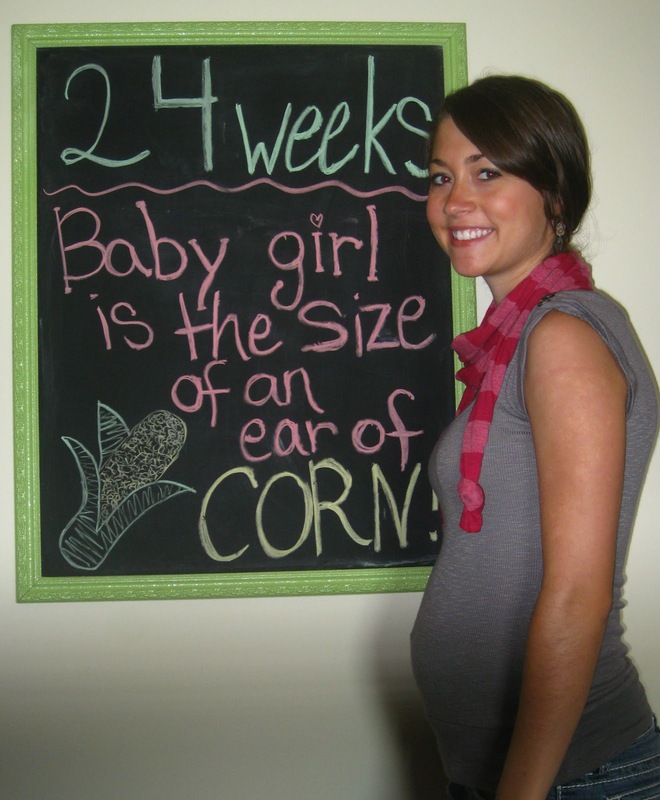 Braxton Hicks can start at 24 weeks?! Oh goodness, not looking forward to those. What belly bands do you recommend? I'm on the lookout for some good ones! What a great baby bump! I LOVE how you're documenting your pregnancy. That chalk board is brilliant! I can't wait to hear your name! It's so hard to choose isn't it! You look great! How exciting that you've picked out a name!! Can't wait to hear it. :) I was freaked out by Braxton-Hicks too, I never had them until the end of my first pregnancy and got them really early this time. But my midwife keeps assuring me it's normal so I try not to worry! Oh how exciting! I can't wait to hear the name! Little girl names are SO fun! :) And you look adorable... I'm jealous of that cute little bump! You look amazing! And you're already half-way there! I hope that nausea goes away soon. Coming from a mom who dealt with all-day sickness up until we delivered I hate to hear of any mama-to-be feeling sick past the first trimester. Co hosting with you on the Link & Mingle. I'm your newest follower and would love for you to stop by. 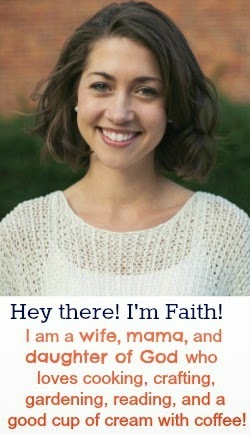 Hi Faith! 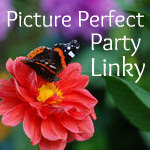 Thanks for linking up on my Picture Perfect Party Linky! I'm now following you on FB and Twitter! (I was already following with GFC.) I love your share buttons. Have a blessed weekend! You look great! Crazy that you're getting Braxton-Hicks already - I had them when I was pregnant the first time but I could never feel them! so cute! wish I would have taken photos like this with my pregnancy! Popped over from life of faith. aww congrats! you look great! found you through a link up! I'm your newest follower!